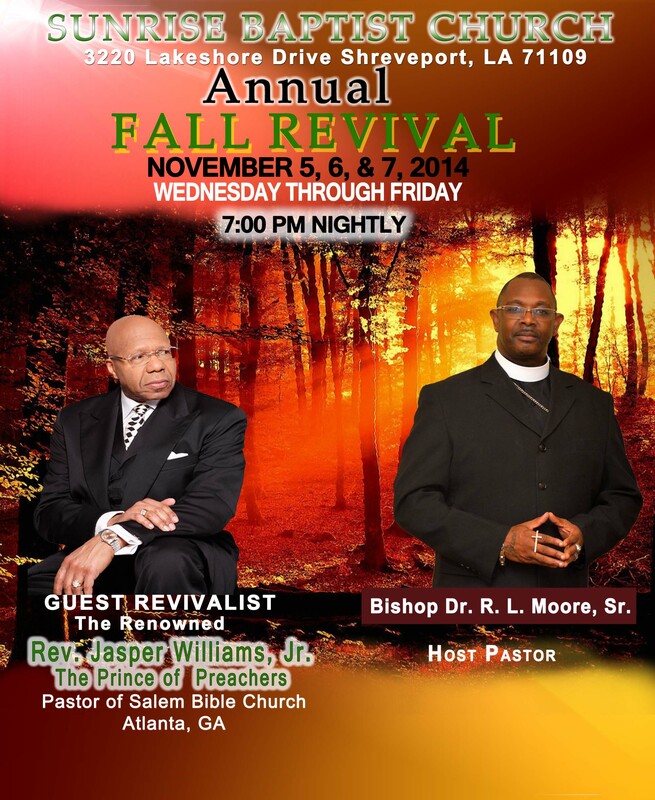 Sunrise Baptist Church will host their annual Fall Revival on November 5-7, 2014 at 7:00 PM nightly. 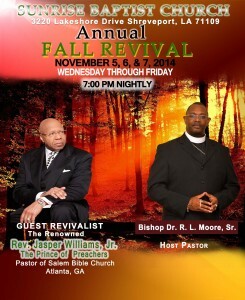 Bishop Rickey J Moore will be hosting the world renowned Rev. Jasper Williams, Jr. of Salem Bible Church in Atlanta Georgia as the guest speaker.